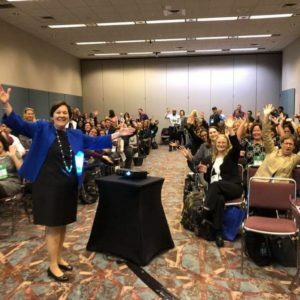 Harriet was honored with a mega session at the 27th Annual Garden State (NJ) Council – SHRM (The Society for Human Resource Management) Conference & Expo (October 2018). Her topic was: Mind Full or MindFul? : Decluttering the Busy Leader’s Mind. GSC-SHRM Conference & Expo, was held in Atlantic City, NJ on October 14-16, 2018, and marks the 27th anniversary of this important event. They continue to provide excellent educational and networking opportunities for the HR professionals in the Garden State.